Sip coffe & relax the day away on your wrap around porch or watch the rain fall from your covered patio! 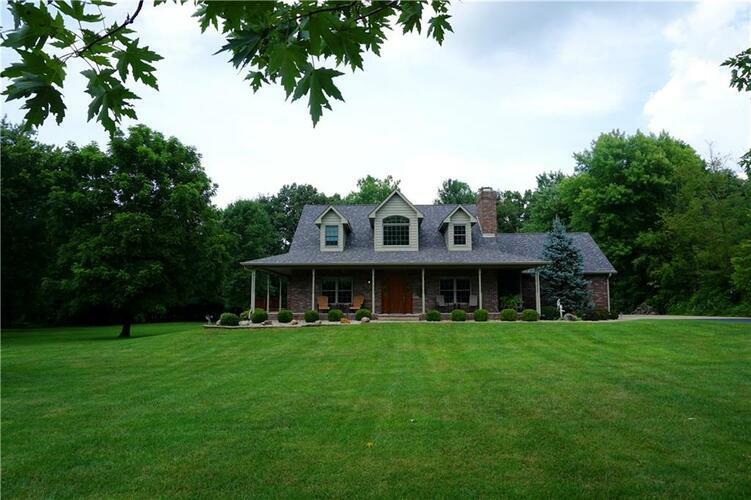 This custom beauty has the master ste on the main, w/ office, hardwoods, granite, soaring clgs! Snuggle up to either fireplace & watch nature pass by. Bsmt has bar, 2nd fp, & full bath with tons of space for pool or play! This home is surrounded by trees & woods. Total privacy w/ an executive feel. You deserve to live like you're on vacation everyday! Huge rooms. Perfection! Directions:SR 37 to Ennis Rd, East to Hickory Grove, Turn left to 5116 Hickory Grove Rd.